On this podcast, Bruno Lhopiteau talks about the challenges faced by Chinese infrastructure companies implementing projects abroad and the ways in which the Chinese method of constructing infrastructure is unique. 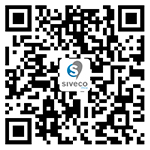 During the interview, he also provides insights into the Siveco China's business development and project execution in various Asian and African countries. Click here to listen to the Podcast in English or Chinese! Bruno Lhopiteau is a veteran of the Chinese maintenance market with 20 years of experience and the Managing Director of Siveco China, which is the country's largest maintenance consultancy and a pioneer in the development of Smart O&M technologies for infrastructure projects. Founded in 2004, with a strong track record in the Chinese environmental and energy sectors, the company is increasingly active on the Belt & Road, working alongside Chinese and Korean construction companies and their foreign clients in Southeast Asia, the Middle-East and Africa. A frequent speaker at conferences on construction and maintenance topics, Bruno also lectures on Industrial Risk Management at the Sino-European School of Technology of Shanghai University. Voices of the Belt & Road tells the stories of people that are part of the Belt and Road Initiative (BRI). It demystifies the initiative by enabling you to listen to the voices of experts and policy-makers, but also the very people affected by the initiative day in and day out. It has become fashionable to conceptualize the BRI through large numbers. But we hear very little of the people and stories behind the initiative. BRI needs stories, it needs faces and it needs voices. Voices of the Belt and Road is your chance to hear them.